On March 10 of this year, news broke that Niran Peiris, managing director of Allianz Australia, has been appointed to the board of management of the global Allianz Group, effective from 1 January 2018. It was announced that Peiris, who has been with Allianz Australia for 16 years, will assume responsibility for the property and casualty businesses in the group’s Anglo markets (which include Australia and New Zealand), the Global Insurance Lines (for example, Allianz Global Corporate and Specialty), Russia and the group’s commitment to environment, social and governance. According to Allianz, work has commenced appointing his successor in Australia, with Peiris to continue in his current role until the end of the year. Insurance Business Magazine had the good fortune to meet Peiris in his Sydney office to discuss Allianz Australia’s recent progress. Reflecting on major wins for the business, he cites the 2014 acquisition of the general insurance business of the Territory Insurance Office from the Northern Territory government, as well as Allianz’s partnership with Westpac General Insurance in 2015, under which the bank began sourcing products from the insurance giant. Additionally, Peiris mentions the opening of the South Australian CTP market, at which time Allianz became one of four CTP insurance providers in the state. He also discusses the biggest challenges the business is facing in the Australian market right now. He refers firstly to the soft state of the commercial market. “While it’s recovering, I don’t see it recovering quickly, and I think that’s an indicator of capacity that we have around the world,” he says. “Secondly, I think low interest rates continue to be challenging for any financial services organisation, particularly general insurers because you’ve got to price to your interest rates, and when interest rates are very low, of course, your price has to be much higher than you otherwise would have. The regulatory landscape is also an important factor to Peiris. “I think the move of regulators, particularly towards customer advocacy, is a big change and something that I think the whole financial services industry is adapting to at the moment,” he says. Talking talent in insurance, Peiris opines the industry needs to do a far greater job of making jobseekers appreciate the intellectual challenge associated with careers in insurance. “The intellectual challenge is trying to price something that you really don’t know the cost of,” he explains. “You’re taking very educated guesses at that cost. There are very few industries like ours, where you really don’t know the cost of your product on the day you sell it, because it’s subject to weather events or whatever that you’re trying to cover. And I’ve found that quite stimulating over time. On the subject of data, Peiris talks about the evolving role he foresees for data and analytics in insurance in times ahead. “Insurers have been using data for a long time to rate properly. The thing that I think has to change is more customer overlay on top of that data, because the data that we use at the moment really is portfolio by portfolio, and we look deeply down into those portfolios and we’re trying to balance the pool that we have,” he says. Peiris says Allianz has a significant focus on data and analytics, both at a local and at a global level. “We’ve invested quite heavily in data science, in machine learning and all those things that you need to do to be a big data company, going forward,” he says. Discussion turns to insurtech and the associated threats and opportunities. “I think as with any new competition emerging from left field, you must always pay attention to them, because what emerges from left field is always something that can be a major threat to you in years to come,” he says. 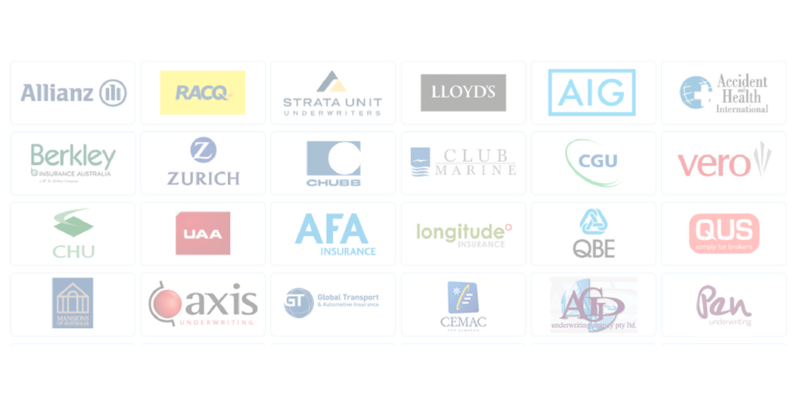 “In engaging, what we need to continue to be good at is risk selection and pricing, and the investments in that side of insurtech are very interesting to us. We’ve invested significantly at a global level and here in data scientists and in analytical tools so that we can better refine our rating models. On other recent developments in Allianz Australia, Peiris discusses its enhanced commercial packages online platform. “We’ve launched our SME platform, Allianz Alive, which went live towards the back end of last year and is now fully up and running … [it’s] a major refresh of our SME offering – which is very important to brokers and really important to us … and we continue to refine that as time goes on and innovate further,” he says. Inside the organisation, Allianz Australia’s efforts to enhance the diversity of its workforce have been recognised externally for some time. for gender equality citation. Allianz was one of only two general insurers to receive this acknowledgment. “Diversity is strategically important to us, because we’ve said for a long time it’s just good for business. It helps us think more broadly and to understand our customers better if we are a more diverse bunch inside this company,” Peiris says. He says diversity has been a focus of the business during his time as head of Allianz Australia. Peiris emphasises the importance of accountability for efforts on the diversity front. “I think it’s really important that you hold yourself accountable,” he says. People change, Peiris says, is the biggest change happening internally at Allianz Australia. “When you look at our organisation and how we grew up, necessarily we were quite a traditional hierarchical system. As we grow – we’re now $4.6bn in turnover in terms of GWP – our aspiration is to be much bigger still. You need to change the way the company goes about doing its business and you need to devolve decision-making. “For that, we’ve got a strategy around a workforce for 2020, which looks at how we recruit people and the types of people we’re recruiting, and that’s where diversity comes into it as well. Secondly, [we’re looking at] how we get them through the organisation, in terms of their development, and, thirdly, how we then get them into those senior management roles that are necessary in a diverse talent base that recognises the challenges of the future. Key priorities for Allianz Australia in 2017 – Peiris’ last year as MD – centre around the continued execution of its strategic plan. “We had a strategy approved in 2015, and year one of implementation was 2016,” Peiris says. “The plan really focuses on a few things: firstly, what I would call a focus on the end customer. We have previously always looked at our intermediary partners as the way we grew, so we acquired intermediaries and we grew that way, and as a result … we have significant market shares in motor car dealers and [financial institutions].” But we really haven’t focused on their end customer base. A lot of the work that’s going on in systems and in process is to look at how we get to the end customers together with our partners – or indeed the end customers directly when we have our direct business – and look at them in a way that we understand them better and, therefore, they’re more likely to buy more product from us and/or stay with us for longer.